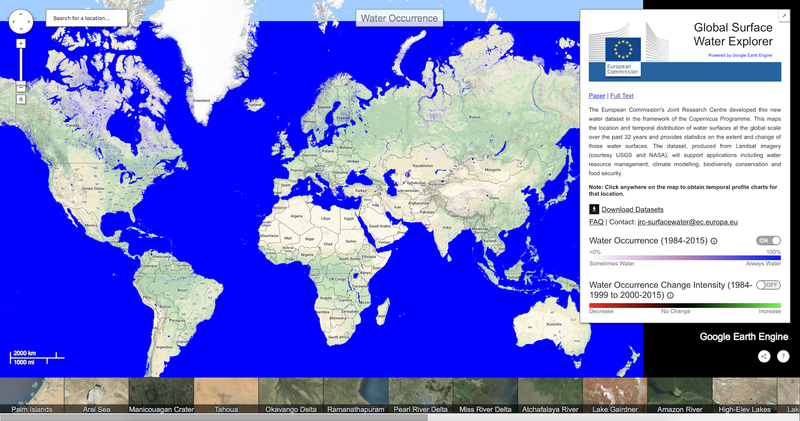 Here is a neat tool that allows you to browse areas containing surface water globally. Some areas in the Middle East show drastic reduction in surface water over time, which could present challenges for countries such as Uzbekistan and Kazakhstan in the future. For some areas you can also see seasonal flooding zones. The web application can be found here. The paper describing this platform can be found here.